As the final offseason dominos continue to fall into place, baseball is just around the corner. 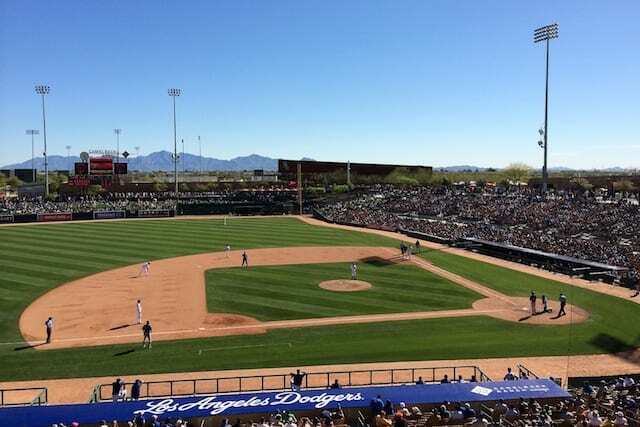 For the Los Angeles Dodgers, pitchers and catchers report to Camelback Ranch for Spring Training on Feb. 19. Position players are due in camp by Feb. 24, and the first full-squad workout is scheduled for Feb. 25. Los Angeles will face the Chicago White Sox in their Cactus League opener on March 3. 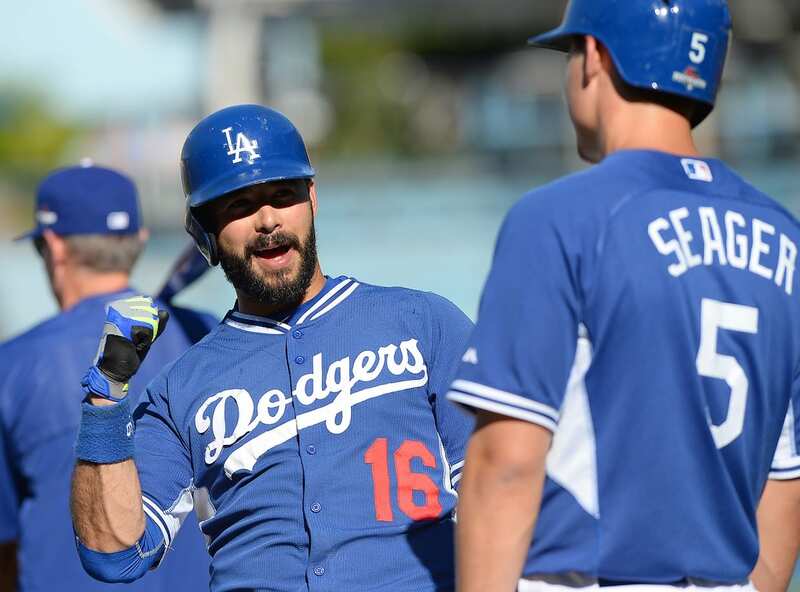 The Dodgers recently announced 16 players received a non-roster invite to big league camp. That number grew by one as Brandon Beachy was sent outright to Triple-A Oklahoma City on Wednesday. 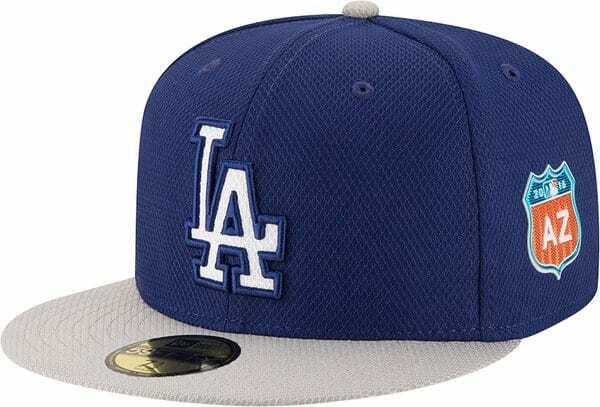 Teams this year will be outfitted with new jerseys and hats, which for the Dodgers includes a third logo being worn on a cap for the first time in franchise history. 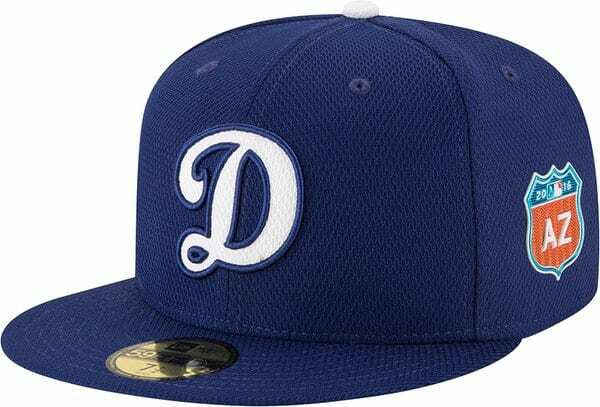 Joining the traditional “LA” and Brooklyn “B” caps is an alternate lid with a cursive capital “D” (matching the “D” on the Dodgers’ jerseys). 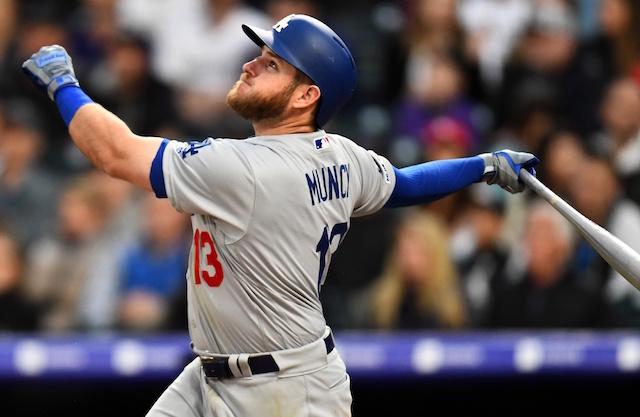 Los Angeles will continue to have the option of wearing a blue cap with a gray bill and the traditional “LA” logo for road games in Spring Training. Both hats feature a Cactus League logo of a highway sign with “AZ” on the left side. Also unveiled was a new blue alternate jersey. While on the surface it resembles the look last year’s alternates, the jerseys this year feature Majestic’s new Flex Base uniform system, making for a lighter-weight jersey. The jerseys are outfitted with the same Cactus League-Arizona highway logo as the caps, but on the right shoulder. 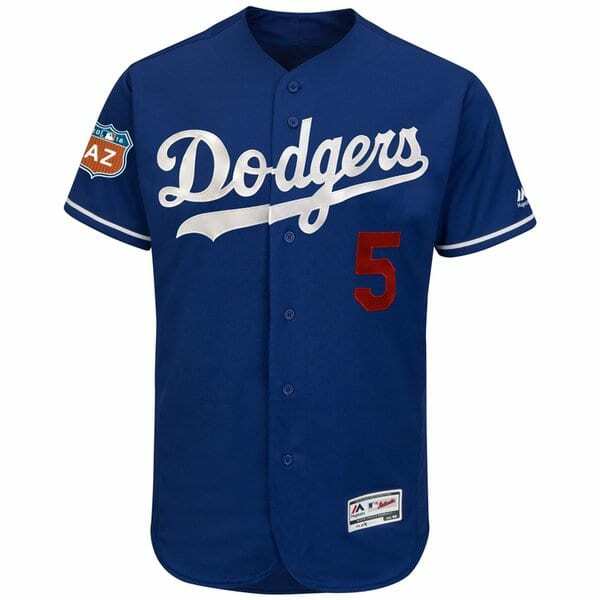 Additionally, the names and numbers on the backs of all jerseys feature a sublimated Spring Training design pattern featuring Spring Training marks and the silhouetted batter logo. The sublimated designs are also found on the inside of the caps’ crowns. The jerseys will be worn throughout the regular season and postseason. Fans can purchase the new designs at MLBshop.com beginning Monday.